Why does my child need an IV? Why are there so many different doctors? What does it mean if my child has to stay at the hospital for observation? To answer these questions and more, Akron Children’s Hospital is pleased to announce a new addition to our blog called On The Floor, which is aimed at helping parents understand what happens in a children’s hospital. 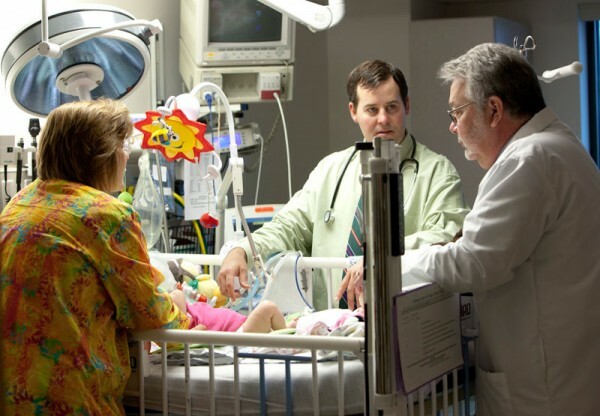 On The Floor will be written by 2 of our pediatric hospitalists – Drs. Eugene Mowad and Douglas Moses – with occasional guest posts. Board-certified pediatricians, Drs. Mowad and Moses specialize in the care of hospitalized children, and collectively, have more than 30 years of experience caring for sick children with anxious and scared parents. They hope to ease some fears by educating families about what to expect. The topics will vary based on seasonal trends and the latest pediatric medical news. They’ll also address questions that you post in the comment section of each post. Dr. Mowad is married and has 3 daughters. Two of his daughters are in college and the third is in 8th grade. In his free time, he enjoys playing music, cooking and making wine. Dr. Moses has 3 children. His 2 daughters are in middle school and his son is in first grade. His free time is spent with family including involvement in several children’s sports programs.